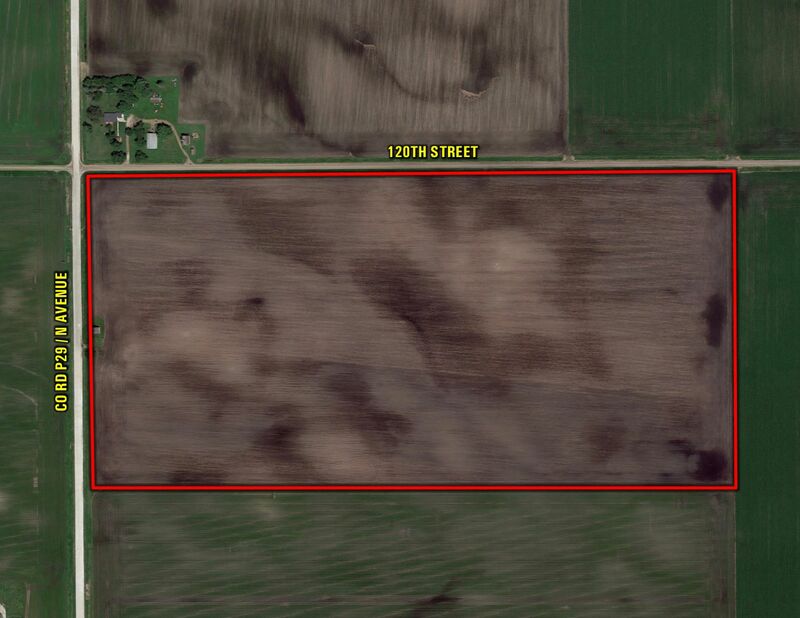 Peoples Company is proud to offer two "Century Farms" consisting of 161.81 acres m/l of highly productive Greene County farmland to be sold as two individual tracts at public auction on Wednesday, November 14th, 2018. The auction will take place at 10:00 AM and to be held at the 209 Main Bar & Restaurant in Paton, Iowa. 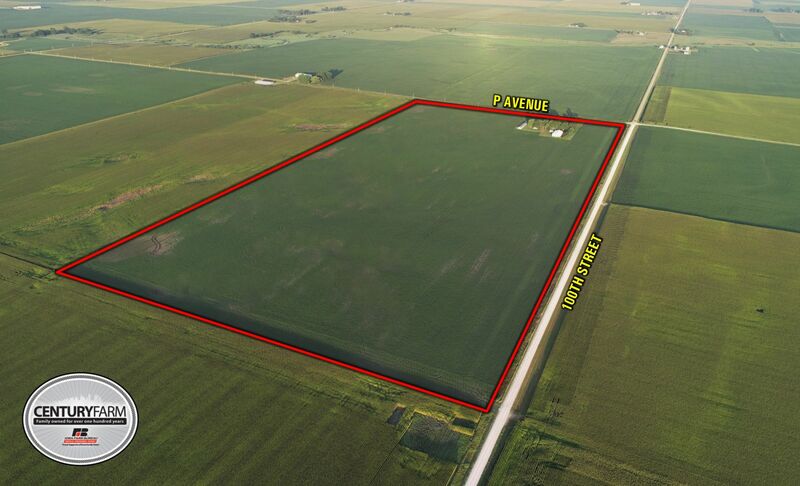 These "Century Farms" are nearly 100% tillable including 149.95 FSA tillable acres. Tract 1 will be sold as 80 acres m/l and consists of 74.46 FSA tillable acres with a CSR2 of 84.4. 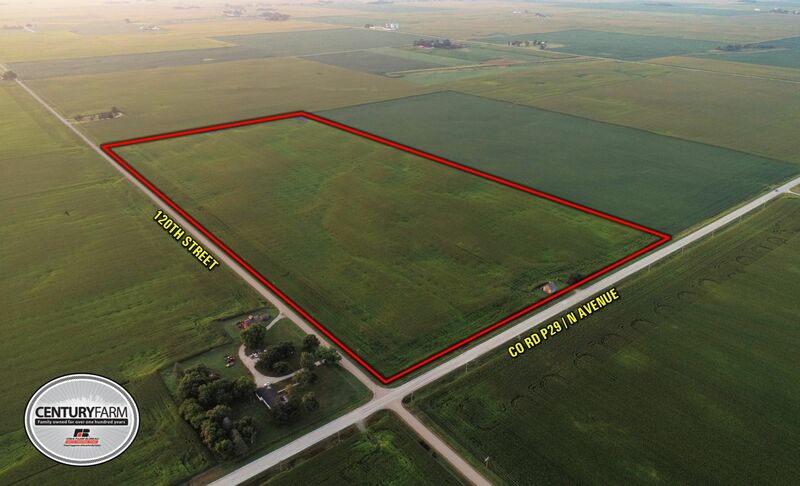 Tract 2 will be sold as 81.81 acres m/l and consists of 75.49 FSA tillable acres with a CSR2 of 82.3. Farming rights for 2019 will be made available to winning bidder. Primary soil types include high producing loam soils of Canisteo, Webster, and Nicollet. 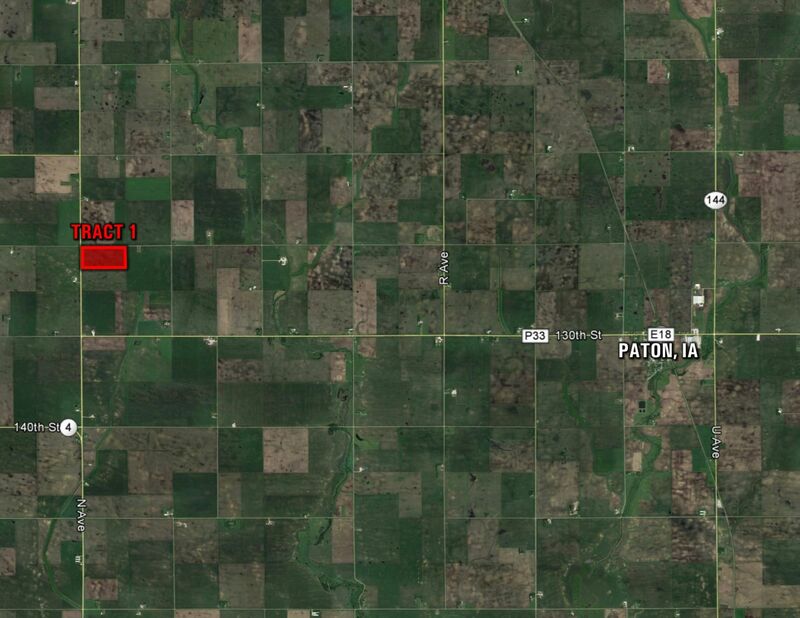 Tracts are located just northwest of Paton, Iowa and located in Section 3 & 17 of Dawson Township. Century Farm: These farms are recognized by the State of Iowa as Century Farms that have been in the Mullins family for over 100 years. These farms have not been available to the public since 1905 & 1913. The Mullins family established one of the first Turkey Farms in the area on Tract 2 where the Poultry Building still stands today. The Century Farms Program recognizes and honors those individuals and families who have owned the farmland for 100 years or more. The program began in 1976 as part of the Bicentennial Celebration, when over 5,000 certificates and farm markers were distributed across Iowa at local ceremonies. Since 1976, more than 15,000 families have been recognized. The North Half (N1/2) of the Northwest Quarter (NW1/4) of Section 17, Township 85 North, Range 30 West of the 5th P.M., Greene County, Iowa. The North Fractional Half (NFRL1/2) of the Northwest Quarter (NW1/4) of Section 3, Township 85 North, Range 30 West of the 5th P.M., Greene County, Iowa. 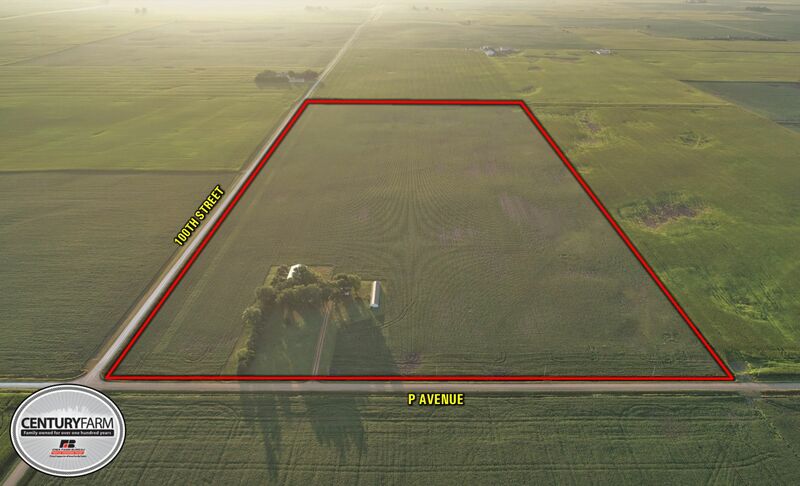 From Paton, Iowa: Travel west out of Paton on Co Rd E18 / 130th Street for 6 miles until Co Rd P29 / N Avenue. Turn right (north) on Co Rd P29 / N Avenue for 1 mile and property will be located on the right (east) side of the road. Look for sign. 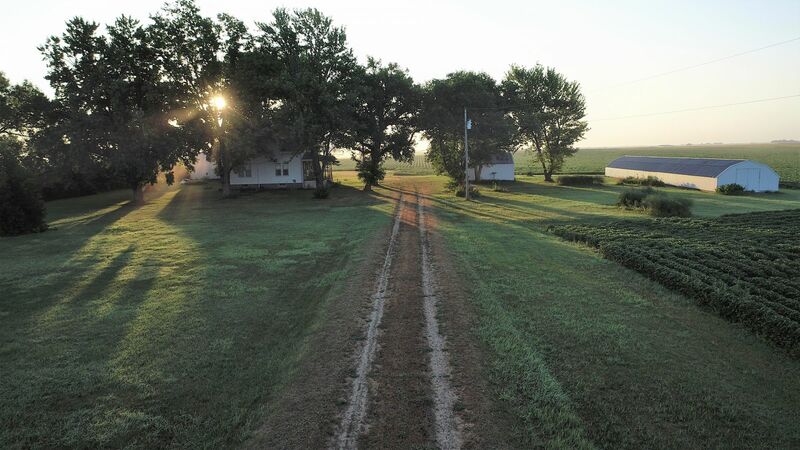 From Paton, Iowa: Travel west out of Paton on Co Rd E18 / 130th Street for 2 miles until R Avenue. Turn right (north) on R Avenue for 3 miles until 100th Street. Turn left (west) on 100th Street for 2 miles and property will be located on the left (south) side of the road. Look for sign. Closing: Closing will occur on or about Friday, December 28th, 2018. The balance of the purchase price will be payable at closing in the form of cash, guaranteed check, or wire transfer. 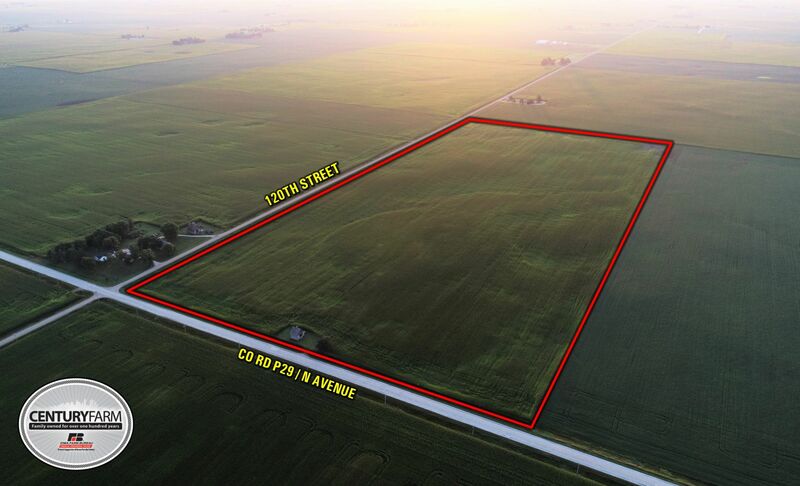 Tract 1 will be sold as 80 acres m/l and consists of 74.46 FSA tillable acres with a CSR2 of 84.4. Soil types include Canisteo, Nicollet, and Clarion Loams. Located on the west side of the property is an older 24' by 27' Corn Crib built in 1956. Farm is located in Sections 17 of Dawson Township, Greene County, Iowa. **A public highway easement with Greene County is located on the west 50 feet of the property along Co Rd P29 containing 0.15 acres m/l. Contact Agent for details. 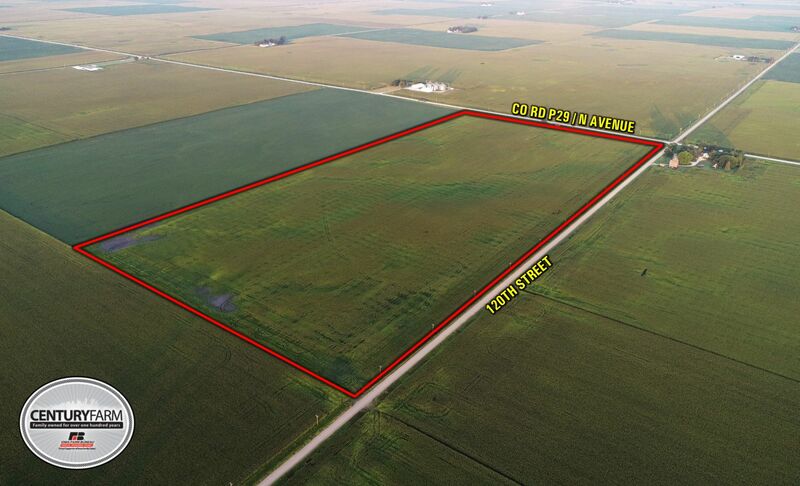 Tract 2 will be sold as 81.81 acres m/l and consists of 75.49 FSA tillable acres with a CSR2 of 82.3. Soil types include Canisteo, Nicollet, and Clarion Loams. 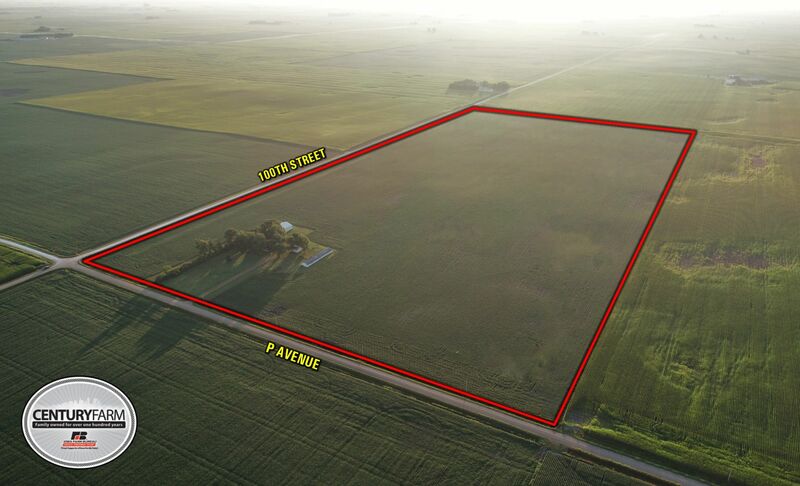 Farm is located in Sections 3 of Dawson Township, Greene County, Iowa. The property features a vacant Single-Family 1 1/2 Story House that was built in 1918 and has 1,142 Sq/Ft of Total Living Area. Farm improvements include a Steel Utility Morton Building with 3,024 Sq/Ft measuring 42' by 72' built in 1969, Poultry House with 2,200 Sq/Ft measuring 20' by 110' built in 1970, and two Detached Garages measuring 12' by 18' and 20' by 22'. Dwellings will be sold "As Is, Where Is". Buyer will be responsible for the cost of any improvement, replacement, or repairs to the current septic / wastewater treatment system. Buyer will be required to sign a binding agreement with the Department of Natural Resources (DNR) at Closing as part of the "Time of Transfer" requirement with the Ground Water Hazard Statement. This is an acknowledgement by Buyer to either vacate / demolish or improve / update the current septic system per Iowa Law. Contact Agent for further details.